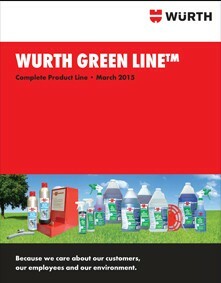 Take advantage of significant savings and cut down on your carbon footprint by replacing regular aerosol cans with a Würth REFILLOmat® station in your auto shop or fleet maintenance facility. The REFILLOmat® station charges refillable spray cans with 400ml of product (active ingredient) and propellant (compressed air) automatically within 7 seconds. Like an ordinary aerosol can, a REFILLOmat® can sprays in every direction, and gives you the look, feel, and pressure of an aerosol can at a reduced cost, with no dangerous propellants. The Bulk program includes 30 or 55 Gallon drums of Regular, Low VOC, or Zero VOC Brake Cleaner or Multi Purpose Solvent.